American beef, pork, and turkeys are now considered sub-standard in more than 100 countries because the U.S. government allows meat processors to add ractopamine, a growth-hormone drug, into feed for cattle, pigs, and turkeys bound for food sales. Last week, Russia joined the ranks of countries greatly restricting (or entirely banning) U.S. beef and pork imports as too tainted with drugs for human health. "Since the violations continue and we are finding ractopamine in meat shipments from the U.S., we plan starting February 11 to impose restrictions on the import of this product." A drug fed in the final weeks before slaughter to "improve the rate at which the animals convert feed to lean muscle" rather than fat. Since industrial factory-farmed animals are usually excessively fat due to lack of exercise, ractopamine is used to generate more lean meat. Claimed by the USDA to be "safe" for human consumption when ractopamine residue remaining in meat is below certain limits set by the USDA, a level considered unacceptably high by the EU, China, Russia, and the United Nations body for global food-safety. However, Food Safety News reports, "The U.S. Department of Agriculture’s Food Safety and Inspection Service does very limited testing for the drug..."
In 2010, the U.S. tested for ractopamine residue in none of the 22 billion pounds of pork produced. Only 712 samples were tested from 26 billion pounds of beef produced in 2010. Per NBC News, results of these tests were not publicly released. "When Elanco studied the drug in pigs for its effectiveness, it reported that 'no adverse effects were observed for any treatments.' But within a few years of... approval, the company received hundreds of reports of sickened pigs from farmers and veterinarians..."
'Since the drug was introduced, more than 218,000 pigs taking ractopamine were reported to have suffered adverse effects, as of March 2011, according to a review of FDA records. The drug has triggered more adverse reports in pigs than any other animal drug on the market. Pigs suffered from hyperactivity, trembling, broken limbs, inability to walk and death, according to FDA reports released under a Freedom of Information Act request. The FDA, however, says such data do not establish that the drug caused these effects.'" What Can You Do to Avoid Eating Drug-Laced U.S. Meat? 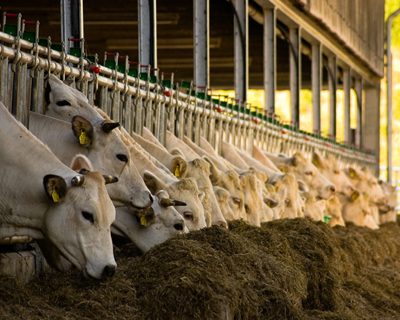 Various food safety and animal rights groups filed a formal petition in late 2012 to force the FDA to ratchet down its acceptable level of ractopamine residue in U.S. meats. While this petition winds it way through the bureaucratic thicket, I know of only two options to protect you and your loved ones from eating ractopamine-tainted meat. Buy from retailers that purposely avoid ractopamine-tainted meats. Chipotle is the sole national restaurant chain that I know of that presently uses only ractopamine-free meats. Whole Foods markets sell ractopamine-free meats, as do many high-quality meat retailers as Niman Ranch. Ask your neighborhood butcher if he/she sells ractopamine-free pork, beef, and turkeys. Reduce or eliminate pork, beef, and turkey from your diet. Pescatarians, such as the late Steve Jobs, consume only fish plus vegetarian fare, for this very reason. Flexitarians, aka semi-vegetarians, eat a mostly vegetarian diet, but occasionally enjoy meat. And, of course, vegetarians and vegans are safe from the threat of ractopamine drugs. Complain! Complain bitterly to Congress and the White House, both which are trying to bully other countries and the United Nations into establishing higher official levels of acceptability for ractopamine residue in meats. Complain to markets, butchers, and restaurants that you want to buy meats untainted by ractopamine drugs. Educate family, friends, and neighbors about the state of U.S. meats: we are consuming the world's leftovers, meats rejected as unhealthy and contaminated by 100 other countries. I beseech you: protect your health and that of your loved ones. Avoid drug-tainted meats that are banned around the world. And take action to force the federal government to place human health before profits and political contributions. In a democratic society, however, fairness and justice should be the same for everyone, whether they are rich and poor. See "More about Deborah White" for complete bio. Raspberry Ketones: Another Industrial Food Quasi-Scam? The Coconut Water Fad: Hucksterism, Health Elixir or Quasi Fraud? The site does not provide medical or legal advice. This Web site is for information purposes only. This site is neither associated nor affiliated in any way with foodwatch.de (aka NGO foodwatch e.V., Germany/Europe.) However, this site greatly admires the good work done by foodwatch.de, and encourages support of that organization. New Nabisco Triscuits: We Made a Real-Food Dent in Industrial Fake Foods! Part of Lime Marie Media. Copyright 2012-2014 by Deborah White. All rights reserved. Simple theme. Powered by Blogger.